Speed dating and Row games are two really nice activities to promote kids doing questions and then self checking whether they are correct or not. I first learned about these from @k8nowak on her Function of Time blog a few years ago. I was recently reminded of them when @thescamdog tweeted that they have a little video introduction to these on their provincial math site in Alberta. 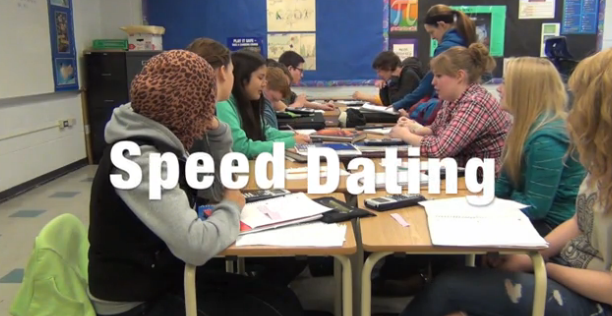 Speed dating has students become experts in the solution for one question each. They are then paired sitting across from each other and switch question. Once that question is solved then they shift one position and switch with another student. Row games has students paired with a worksheet where there are two columns of questions and each student does the question in one column. The beauty of the worksheet is that the answer for each question in any particular row is the same so that if the students get different answers they know that one or both of them has made a mistake. Thus it's self checking. How about some data on the lyrics that boy bands of the 90's used the most. Yep, there's data on that. Hey, data is data. This could easily be used for central tendancy, bar graphs, or even box plots. I like collecting real data in classes, and so I was thrilled with a reason to do so. 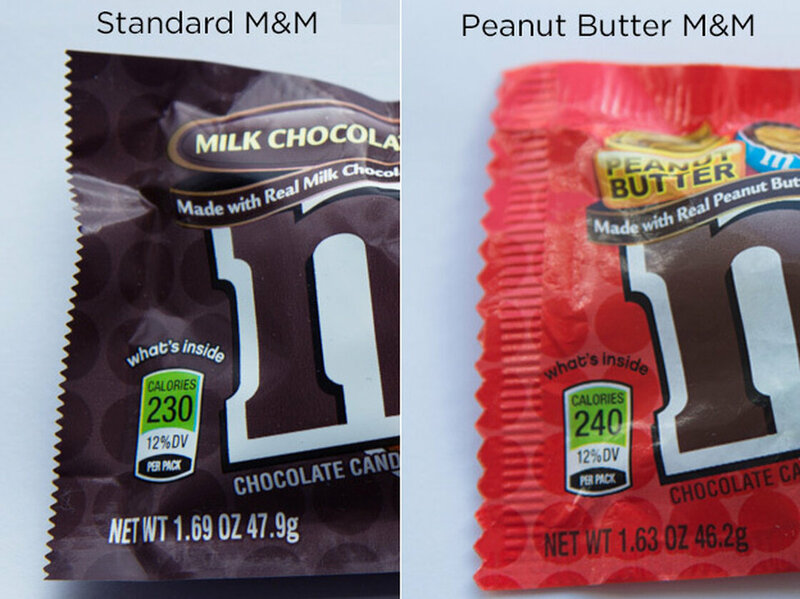 That is, the mystery of why there are different weights of regular M&Ms vs Peanut Butter M&Ms per bag. The actual reason is a bit of a mystery and you can listen about that mystery with the Planet Money podcast here . But collecting data about how many M&Ms are in each pack (or how much each pack weighs in reality) is a good way to talk about measures of central tendency, dot plots, and standard deviation. Math anxiety is real. We have all seen kids who suffer from it. Here are some ways to combat this problem. Mixing dance and math to entice girls in an after school program. One of Keith Devlin's more recent books was Leonardo & Steve about, you guessed it, Fibonacci and Jobs. It comes in ebook only form but if you want to get the gyst of what's in the book you might look at this two part talk on the same subject. 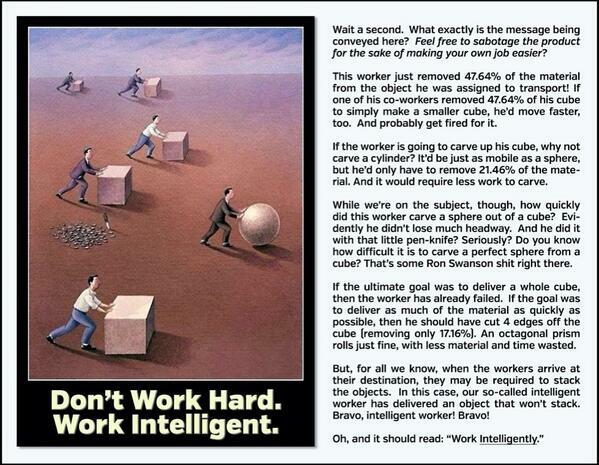 I like this math "takedown" of this motivational poster. It leads to a nice problem about comparing the volume of cylinders, spheres and cubes. Could be used in grade 9 math measurement or in grade 8 if you leave out the sphere. 538 keeps hitting with the data that has so much bearing on world events. Which is the blingiest NBA playoff matchup? That is which pair of teams has the most rings.